I just want to make sure I don't lose them when rolling down the interstate at 75 for 6 hours. The post was edited 1 time, last by Dmax ( Jun 2nd 2015, 10:19am ). Those oyster beds sure are sharp. I placed a minnow trap near one and was thinking I could tie it off to it When I reached out to grab it was when I found out they are sharp! Dmax, if you're ever wanting to kayak in this area and need to borrow a yak feel free to holler at me. I have 2 jacksons, a coosa and a cuda 12, that I would gladly let you use to keep from having to leave someone out. 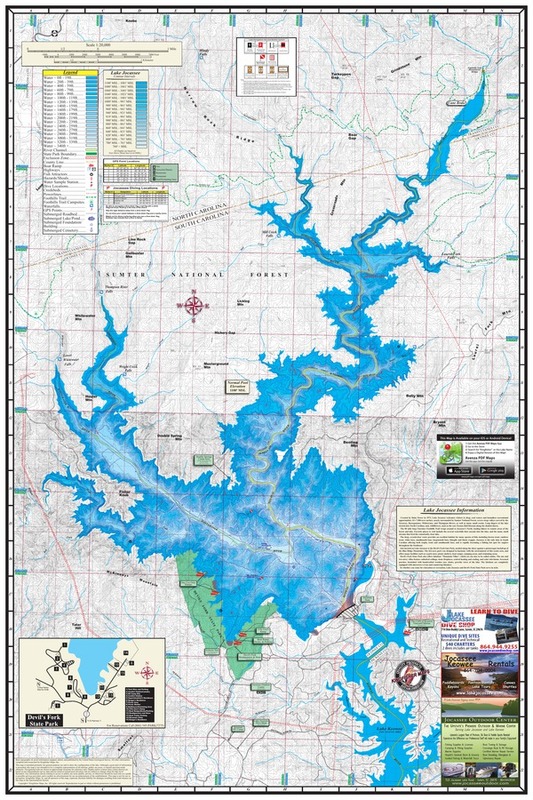 Is Devils Fork the only put in at lake Jocassee? We're hoping to hit a end of season boat demo day to try a few out. Also, Tangent, a member here and someone I've hiked with has the WS I wanted to check out. I need to head up his way to give that one a try. Yes, Devils Fork is it. The lake is dangerous in ANY boat if the wind gets up. And since you can't see the storms approaching the summertime is especially treacherous. Ideally you would want a pontoon that you could portage the kayaks back to the rivers since the put in is all the way down at the dam and right on the biggest part of the water. Of the two kayaks I have, you definitely want the Cuda 12 on Jocassee. The Coosa is a river design in that it has a good bit of rocker built into it to handle rapids. 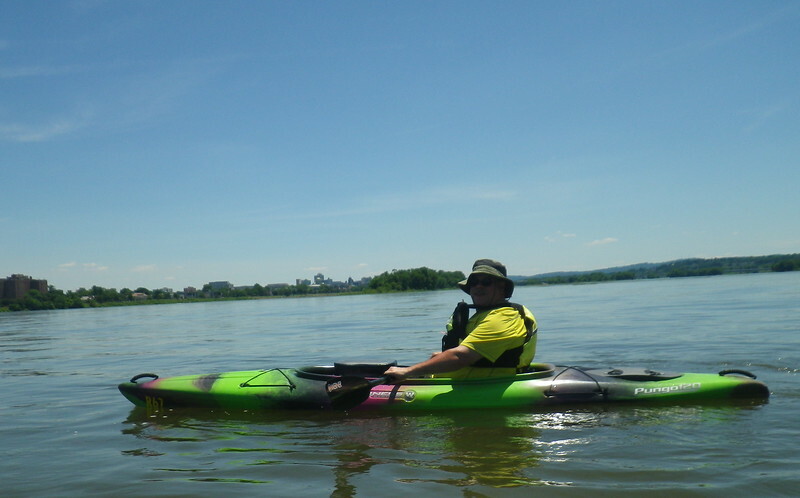 When you get the Coosa on open water you will be fighting a good bit to maintain direction if the wind kicks up (and, again, if the wind kicks up on Jocassee it gets ROUGH). The Cuda is a flatter boat and is much more stable. Jackson also makes a 14' Cuda which I would own if I wasn't on rivers as much as I am. The Cuda 12 is a great compromise for me. If you wanna try out either of mine to help you make a decision let me know and we'll try and work it out. If I took a boat shuttle to the end, how far of a paddle is it back to the put in? We're looking at spending around 4 nights on the lake. The lake map is blurry, but I'll be sure to pick one up of my own. When ever anyone says the water gets rough during storms, I have flashbacks. I can't tell you how many times I've been on Santee Cooper on a pontoon boat or bass boat when it got ROUGH. It's ~8 miles to get up the Laurel Fork arm (NE) and ~4 miles to get to lower whitewater falls (NW). If you get a shuttle to Double Springs Campground that would make for a good base since it's in the middle of the two arms of the lake. Do we have to stay at designated campsites or can we just pull up to a spot and camp? I called and found out more about Double Springs since it's new to me. There's 13 sites total and they have 1, 2 and 3 tent pad sites available (didn't ask the numbers of each). Also, reservations must be made for the sites. I don't know Duke's policy on stealth camping, but I would bank on it being frowned upon. There are a total of 13 boat-in campsites, all of which are located in the same general area. Each site has either one, two or three tent pads. There is a fire ring located at each campsite. There is no dock or ramp at the boat-in campsites; boats must be anchored or beached at this area. The approximate distance from the main boat launch area to the boat-in campsites is two miles. The cost for camping at the boat-in campsites at Devils Fork is $18/night for a single pad (max 6 people), $28/night for a double pad (max 12 people) and $38/night for a triple pad (max 18 people). Pets are not allowed. Camping is not permitted along any other areas of shoreline or on any of the islands located on Lake Jocassee. That's more detailed info that I've been able to find so far. .. I'm suprised to see that's the only camping area allowed on the lake. .. As of right now I think we will take the boat shuttle up the NE arm and get dropped off around Laurel Valley. We might spend the first night up the toxaway arm on the FT if the water is high enough to get there. We'll spend the second and maybe the third night at Laurel valley and paddle up the horsepasture arm. If the weather isn't bad we'll paddle to the island for two more nights. If the weather is bad we will call for a shuttle and bail. This is our memorial trip for Autumn. Every year we try to spend it at waterfalls. So, hopefully they are flowing into the lake for us. I see a lot of fishing ahead for me on this trip too!!! I've been thinking about all those MN lakes and streams that tie together, it would make for a great 2-4 week paddle, I rented a kayak when I was up there and floated the Pine River, beautiful trip, all types of wildlife and crystal clear water with schools of 2'-3' pike at every shoal, if I had someone to make the trip with I'd get another 17' touring boat. That Cuda 14 looks awesome. I'll be driving through Sparta, tn on my way to the Midwest in a couple of weeks, so maybe I can stop by their store and check them out. Tortoise Wife and I are looking to retire on a lakefront lot in a few years. 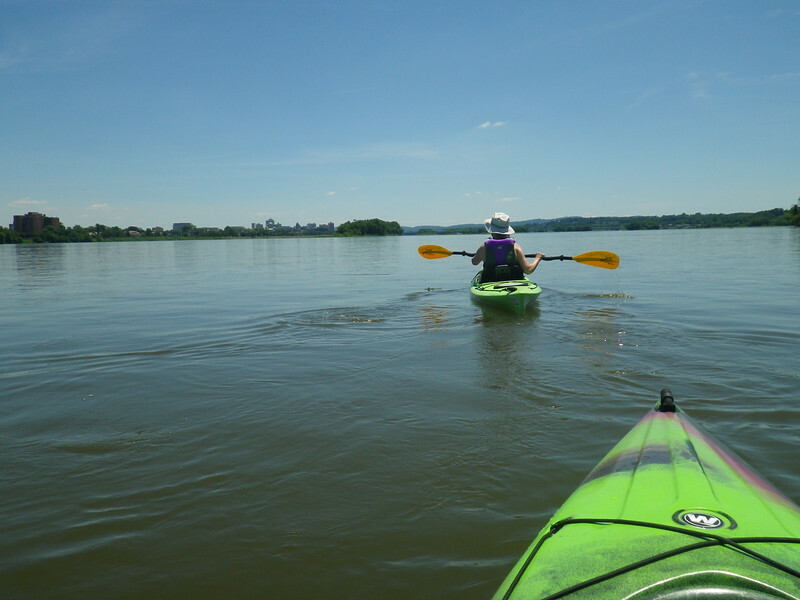 We stopped by Blue Mountain Outfitters in Marysville (just below Duncannon) and they gave us an education on kayaks that would suit our needs. 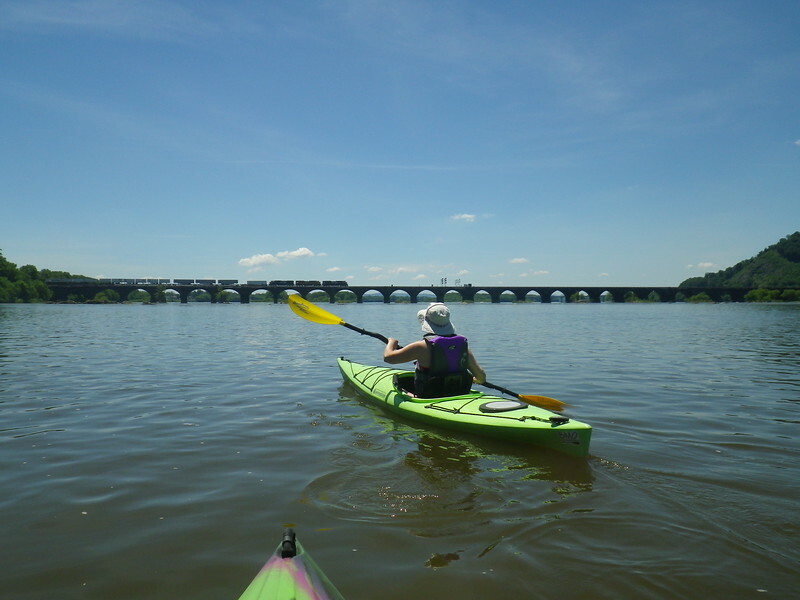 And since their rental fleet includes the yaks they recommended for us, we scheduled a 6-mile demo trip on the Susquehanna River last weekend. She was in a Perception Tribute 12.0 and I was in a Wilderness Systems Pungo 120. We had a blast and confirmed that these yaks were stable and fun to paddle on moving water. I have the Pungo and have been very happy with it. I need to obtain a second one. If there is a Necky dealer near you, try to get a test paddle in a Necky Manitou (sp?) 13' and 14'. I've upgraded to a Jackson Cuda 14. After borrowing foresights Cuda 12 for a week I was hooked. Tons of room in the haul for all my gear and some of my wife's. And I love the framed seat. Very comfortable. My wife went with a Jackson Tripper 12. She want more of a sit in style with a big cockpit. The post was edited 1 time, last by Dmax ( Jun 25th 2018, 8:27pm ). As long as he brings beer, he can say ............. all night long! Her Tripper, my Cuda, and a picture from Fontana Lake. With my REI dividend in hand, my thoughts turned to kayaks. 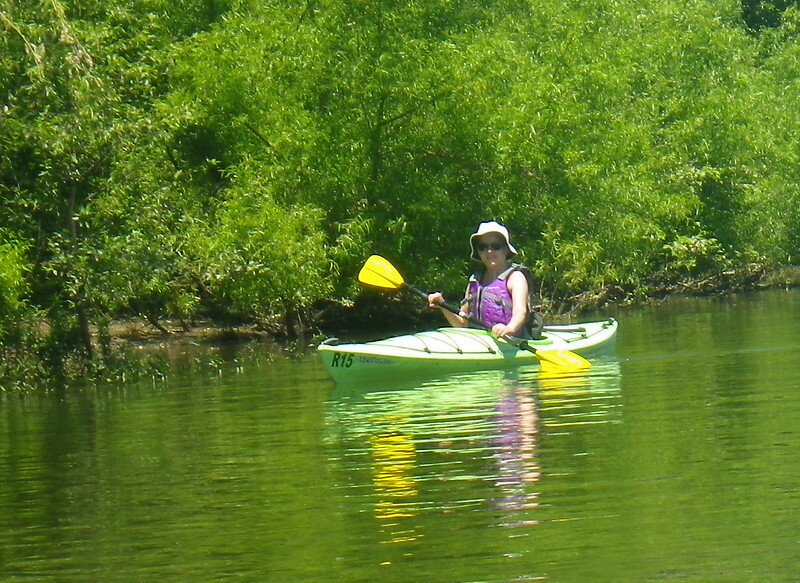 But the Perception Tribute 12 that my wife test-paddled last summer was no longer listed on the REI website. A quick search on Perception's site let me know that this specific model was discontinued. Next step was to call the shop that recommended and then rented this model to my wife and I. They had three in stock and agreed to give me 10% off as part of their early spring sale that starts next weekend. So it was time to trudge through the snow, dig out my racks from the shed, and take a quick road trip towards Duncannon. The post was edited 1 time, last by StalkingTortoise ( Mar 9th 2019, 7:06pm ). That kayak is gorgeous, I’m green with envy. These are the two boats I now have, like them both. Had this 17 footer I really liked but sold it because it's made for long hauls and I could never find anyone to take long trips with. was hoping to do the Florida Circumnavigational Trail but my buddy backed out, was a super fast, super stable, super comfortable boat, took a three day float with about 200 others and there was no boat that could keep up with this one, very fast and could carry 400 lbs. i learned about that 10-15 years ago and was considering doing it once the boys got outta the house. i'm not sure why i eventually lost interest; in all honesty it probably seemed like more "work" than i wanted to do. not an easy trail if i remember correctly. looks a lot like a P & H sea kayak i had back in the '90s. my friends called it the beer barge because of all the stuff it could carry. my buddy had a much slimmer P & H and he could paddle rings around me with that. those brit boats were known for speed but not so much for stability. I got jealous looking at my wife's new yak. Blue Mountain Outfitters gave me 10% off retail plus another $25 for buying a second yak. 2019 Wilderness System Pungo 125. The post was edited 1 time, last by StalkingTortoise ( Mar 18th 2019, 2:09pm ).